For those of you who made it through cuffing season, you might be interested in knowing some things to do in NYC with boyfriend. Coming up with unique dates that aren’t just hanging out at home or going to the same four bars and coffee shops every week is a bit of a challenge. I have this same struggle with my friends every weekend when we want to figure out something to do that isn’t our typical groove. I think sometimes we all get stuck in a rut and a routine and straying from that is hard to do. It’s funny because even though we live in New York City, which is the biggest city in the country, we still manage to be bored or go through the typical “there’s nothing to do” discussion. It’s crazy because there’s always something to do here; you just have to be creative. New York City offers a lot of options for creative, yet romantic, dates. It doesn’t matter if you’re visiting or if you’ve lived here your entire life – there’s always a way to find something to do with your significant other (or even your best friend if you’re still struggling with swiping left and right on Tinder). You could even take some tips from our list of romantic things to do in NYC this spring since this is a great season for finally venturing outdoors and enjoying a little bit of nature or even just great weather on the midtown sidewalks. The city has a little something for everyone and can span across so many interests, so you don’t have to worry about finding a very specific, niche interest because, believe it or not, New York City definitely has a lot of interesting things to do. 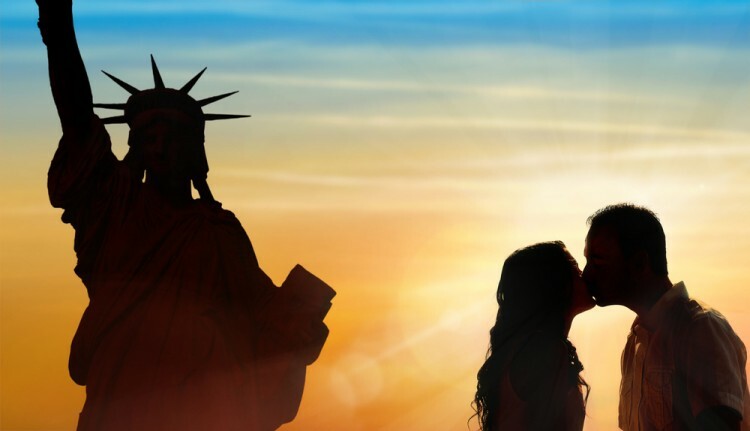 In order to create our list of things to do in NYC with boyfriend, we took a look at A Cruising Couple and Vimbly to see what are some interesting things to do with your boyfriend (or girlfriend or partner, if you prefer). For ranking purposes, we took the rankings from our sources and averaged them so we could create our rankings. Of course, these are just suggestions and there isn’t necessarily a particular order. If an idea is mentioned a lot in the sources, it goes to the top of our list. Without further ado, let’s take a look at some things to do in NYC with boyfriend.